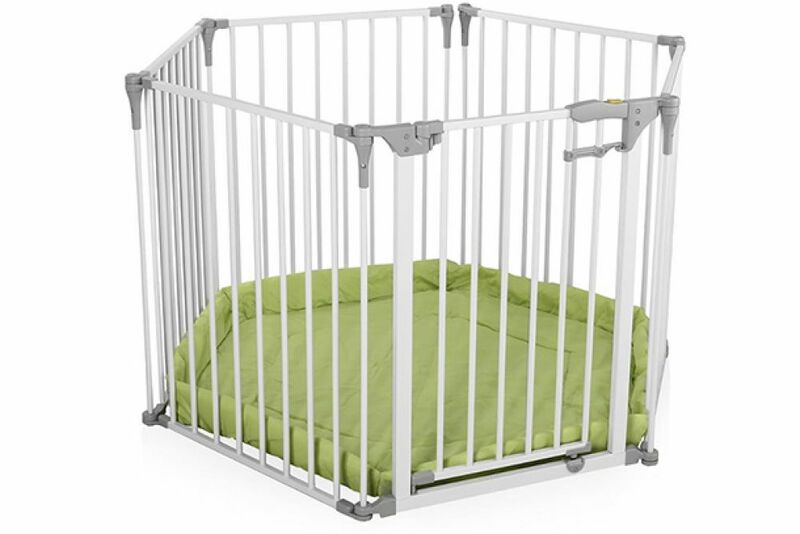 The Hauck Baby Park is a multifunctional safety device which offers a variety of options to secure your household in a child-friendly manner. The Baby Park can be used as a playpen, fireplace protection, stair gate or a safety barrier / room divider for large living spaces. For use as a playpen, the wide diameter allows plenty of room for cars, favourite animals or building blocks. The play mat (included) is luxuriously soft and comfortable and can be used independently from the playpen if required – Simply roll it up and take it anywhere. 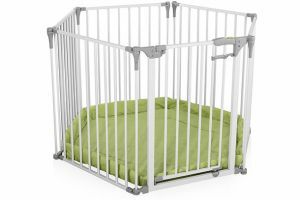 The sturdy, alveolar playpen is assembled using five side parts and the walk through gate section. The door can be opened with one hand and in both directions. 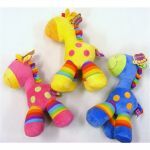 It has a two-fold, manual locking mechanism and locks reliably in a childproof closure. As a fireplace gate, stair gate or as a barrier for living rooms, attach the Baby Park with the included mounting brackets on two adjacent walls. With a total length of 3.66 m, you can cover large areas without any problems. If you want to go through the barrier, simply open the door. In this way you can ensure that your child remains safe and restricted to set designated areas.